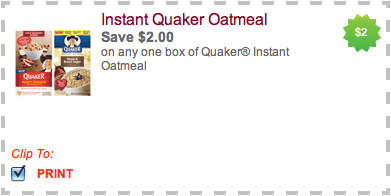 New $2/1 Quaker Oatmeal Coupon! Wow! 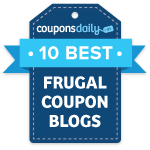 Quaker released a very high value coupon! Just go here, scroll down and you’ll see an offer for a $1 coupon…but when you click on the link, it will take you to a $2/1 box of Quaker Instant Oatmeal coupon! Be sure to print this one now–it may not be available for long!